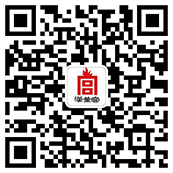 Beijing HAN FU GONG Impression International Catering Group is a comprehensive international catering group integrated with catering chain operation, brand management, talents cultivation, research and development and logistics distribution. The headquarter is located in Beijing which has nearly a thousand staff with a top-level operation and management team including doctors, masters and bachelors and senior chain enterprise consultants team. The group now owns nearly a thousand chain stores and sets up national chain customer service center as well as Shine Impression Business College which can provide a large number of management talents to national catering enterprises. The company operates on the purpose of People first, Win trust with honesty, Customer first, Win success with quality and adheres to the operation and management concepts that service as basis, brand as core, market as guide, culture as heart to promote brand development strategy unswervingly and dedicates to forge the most valuable catering chain brand in China.